iBall, announces another extension to its growing Mobile portfolio ‘iBall Andi F2F 5.5U’. It comes with Exmor R Camera that shall help you capture detailed pictures, even in low-light situations like candlelight or outside at dusk! iBall Andi F2F 5.5U brings several options for the discerning selfie fans, bringing two sides of picture perfect moments like no other – More detail than ever before! 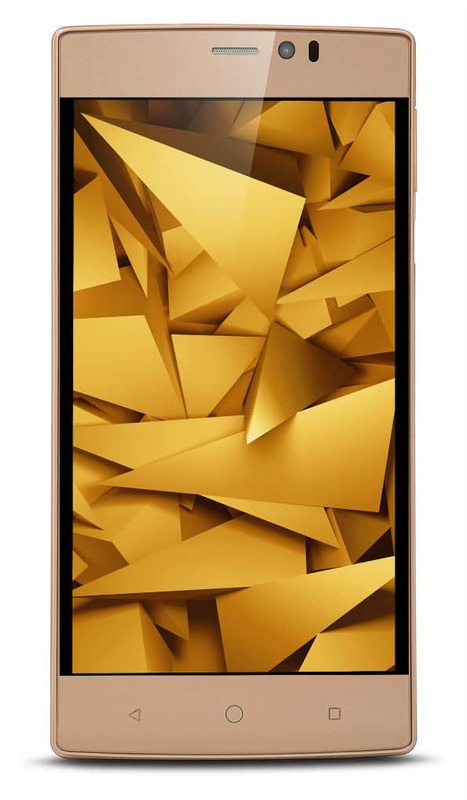 Targeted at those who wish to own an economical 4G smartphone with all round performance, iBall Andi F2F 5.5U is optimized for single-hand use, with enhanced picture quality; packaged with best-in-class entertainment, speedy Internet, and all-day battery life iBall Andi F2F 5.5U, that keeps you sorted. Designed to be the center of attention, its aesthetic curves, and slim design, compliments bold gold, scoring high on the looks department. From streaming cricket to watching death-defying stunts reals-l-o-w, the captivating visuals of the huge 5.5 inch IPS HD Lamination display with Mira vision display will give you goosebumps every time. You’ll see the difference in every scene, with superb contrast, rich colors, and less picture noise, bringing reel to real. iBall Andi F2F 5.5U has 1 GHz Cortex A53 64-bit Quad Core processor and Android 5.1 Lollipop OS. Packed with 1 GB DDR3 RAM and 8 GB Internal storage which is further expandable to 32GB via Micro SD card. Revel in extreme speed with 4G connectivity which underlines staying connected is not just easier, but also faster and better. The smartphone has High-Quality 5 MP Front Camera with HD Video recording and 8 MP AF Rear Camera with Dual LED Flash. The rear Camera F2.2 aperture and 5P lens shall allow you to see the difference in every scene, especially in dimly lit interiors and atmospheric twilight moments bringing better color reproduction. Allowing you to see the difference are the several enhancements which include Multi-Angle View Mode, Live Photo Mode, HDR etc. Backed by 2700 mAh battery iBall Andi F2F 5.5U offers standby of 10 days and talk time of up to 7 hours 30 minutes on 4G.